Looking for a new conservatory? Our wooden conservatories are constructed using a range of bespoke joinery techniques to give you get the best wooden conservatory for you and your home. Wooden conservatories can provide extra space and can be used all year round. In the winter a conservatory is a great way for you to make the most of your garden, enabling you to take in your outdoor space whilst being warm and dry inside. In the summer, it’s the perfect base to enjoy the sunshine! They can be the perfect solution if you’re looking to add an extra room on to your home but don’t want the lengthy and expensive process of building a brick extension. Some of our past conservatories have been used as offices, gyms, bedrooms and as extensions on existing rooms. Browse our gallery to see some examples. 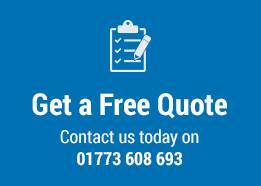 With over 30 years experience within the bespoke joinery industry we strive to provide all of our customers with the best conservatories we can build. We’ve built a reputation on the exceptional quality of our work and have built a large and happy customer following because of this. Brinard can tailor the design of your conservatory to your needs, styling it to your home and tastes. 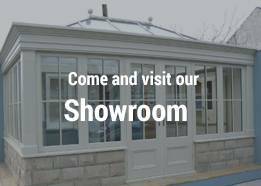 We aim to give you the wooden conservatory of your dreams. So don’t worry if you’ve got a specific design or size in mind, we can help! For more information about our wooden conservatories get in touch with the Brinard team, we are always willing to help. If you would like further information, then please get in touch! You can browse through our selection of past joinery below.